I’m happy to announce that Clover Ridge Sanctuary is now live on Patreon!! Please take a minute to go check out our page https://www.patreon.com/cloverridge. 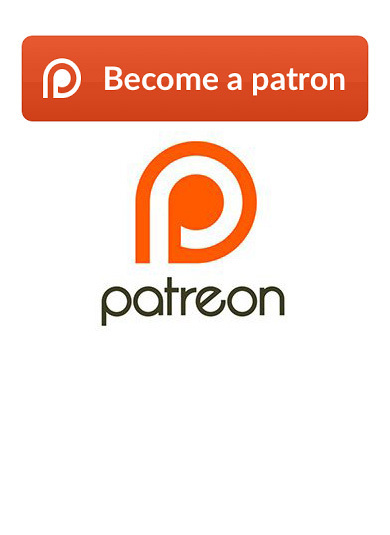 Read our back story, our mission and goals…and learn how you can become a contributing member for as little as $1.00 per month. No amount is too small! Every dollar TRULY makes a difference. 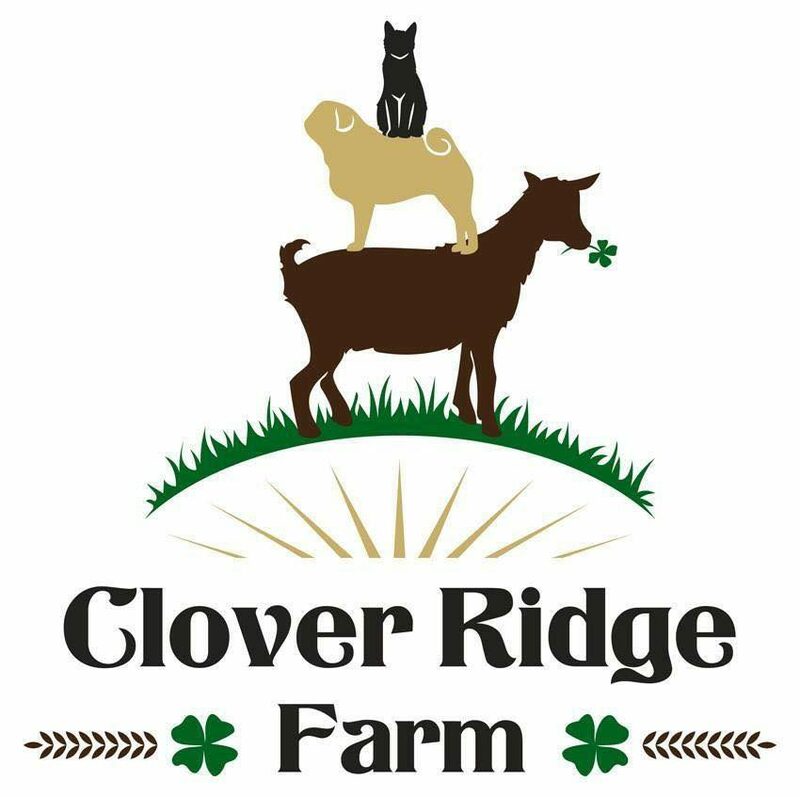 Our Patrons will receive exclusive content (photos and videos and vodcasts) not available anywhere else and other goodies like Clover Ridge t shirts, holiday cards, commemorative four leaf clovers, and even meet and greets with the animals. Any amount donated is tax deductible due to Clover Ridge being a 501c3 nonprofit organization. We have great news! Oscar had his procedure this week and came through like a fighting champ and is resting comfortably at home (with Eleanor the cat by his side)! He had 4 tooth extractions and sutures in his gums where they had to open up a nasty infection. I wanted to wait a few days to post the good news because Occy was coughing a lot after coming home and I was a little concerned about collapsed trachea or possible aspiration pneumonia post anesthesia. I think we are safely out of the woods now and it was likely just irritation from the tracheal tube. Even though his mouth is sore and it took a lot of out of this old timer, I can already tell Occy is feeling so much better now that his mouth is all cleaned up and that nasty infection is gone! We really had no choice but to put him through this. It was either risk him not making it through the procedure or let the infection slowly destroy him. I wasn’t’ about to let that happen. Oscar’s procedure cost $1,020.56 (with our rescue discount). See invoice and the amazing before and after photos below! We are still trying to raise funds because Rosie’s dental is happening next. We had to postpone her surgery while she is being treated for Lyme Disease because the antibiotics are upsetting her stomach and I didn’t want to risk her having her vomit before, during, or after the procedure which could cause complications. Rosie’s dental will cost appx another $1k, so we are still trying raise funds to pay for these desperately needed procedures. Please consider helping out these two formerly abandoned Hurricane Sandy seniors live their best pug lives. Reminder that we are a 501(c)3 nonprofit and all of your donations are tax deductible. So Oscar did great on his antibiotics! They helped the infection in his mouth (I can tell because his breath smells way better) he’s gained some weight, hasn’t had as many seizures, and his energy levels have improved! All of this proves our suspicion of a mouth infection causing him to metabolize everything in his body too quickly hence the weight loss and increased seizures. The scary next step is this means he will have to undergo the dental procedure since antibiotics are only a temporary solution. While I’m terrified to put him under anesthesia because it’s so risky for any pug but especially for him, I know in my heart it’s what he needs and I feel like he’s tough enough to go through it and we have the luck of the Irish with us! Rosie will be having her dental on the same day. The high end estimate for their dentals are over $2k. Can we help pitch in even a little to help get these senior pugs procedures done? They are both scheduled for 5/29/18. Brachycephalic dog breeds (dogs with short noses and muzzles) have more challenged respiratory systems, are more prone to breathing difficulties. Because of this, there are additional challenges and risk before, during and after any surgical, dental procedure, even under sedation. Occy is at an even more elevated risk because of his seizure disorder. They always happen when he’s in a deep sleep and therefore the thought of him under anesthesia and being intubated terrifies me. I have recently learned that there are several steps we brachy breed owners can take to minimize these risks and I wanted to share them with you here if it helps prevent even one brachy dog from dying on the table or after a procedure then it’s worth throwing out there. I’ll tell you what’s so beautiful about this video. The babies are nursing on the mama. They are bonding with her and doing exactly what goat kids and nanny goats do in the wild. This is actually VERY RARE. The life of a typical dairy goat is to produce litter after litter, year after year, sometimes more than one litter in a year, for her whole life so she will “stay in milk”. Each time having her babies stripped away from her immediately after giving birth. Not allowing her to clean, nurse, or bond with them in any way. And when she becomes too old to produce babies anymore, she will be sent to auction or slaughter. The lucky does will have adequate food, shelter, and medical care, and maybe some human affection perhaps being kept on a small homestead or as backyard pets, but again this is pretty rare. Why? Dairy farmers do this so that humans can have all of the mother’s milk and make a profit. This kind of breaks my heart. Imaging after carrying her babies for 5 months, talking to them in her belly (yes, I saw Lila do this!) and then going through all the difficult labor, only to have your precious babies stolen away from you. The life of boy goats is a far worse fate.. Since boys can’t produce milk and bucks are hard to control and they are smelly, baby bucklings like Lila’s triplets here are less desirable. The lucky bucks with good traits will be passed from farm to farm their whole lives to sire new babies, to get the females pregnant so they can keep producing more milk for humans. The not so lucky bucks are turned into wethers. Wethers are male goats who are “neutered” so to speak so they can’t breed. A small number of wethers will be lucky enough to be sold as pets, companions, or weed eaters but mostly, farmers will keep wethers until they are big enough to be sold as meat goats. After witnessing Lila give birth and see how immediately and instinctually she bonded with her babies, adored them, accepted them, became their supreme protector, and now as I observe everyday the parent child relationship between her and her kids evolve, I can’t imagine anything sadder. Fortunately for Lila and her kids they will always be together and will get to live their lives together on our farm sanctuary. What could be better than that?